So you claimed your blogspot blog on Bloglovin' ages ago and were starting to gain followers there. But then you decided to ditch your blogspot URL for a fantastic, brand-new personal custom domain. How do you change your blog name and blog URL in your Bloglovin' account now without losing (and confusing) any of your existing followers? 1. Click on the tiny downward arrow at the top part of your account, next to your round icon. 3. Click on "Edit blog info". Now just delete your old blog name, type the new one and click "Save". It's done! But this step changes the NAME of the blog only. 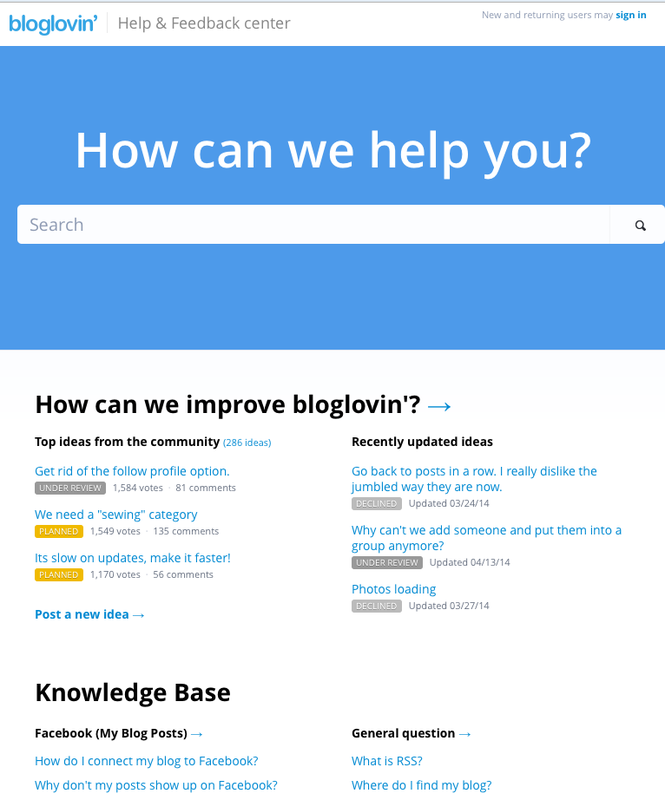 There is no section in your Bloglovin' account where you can edit your url; Bloglovin' actually doesn't allow users to edit their url for security reasons. This doesn't mean that you're stuck with your old url forever though, so fret not! 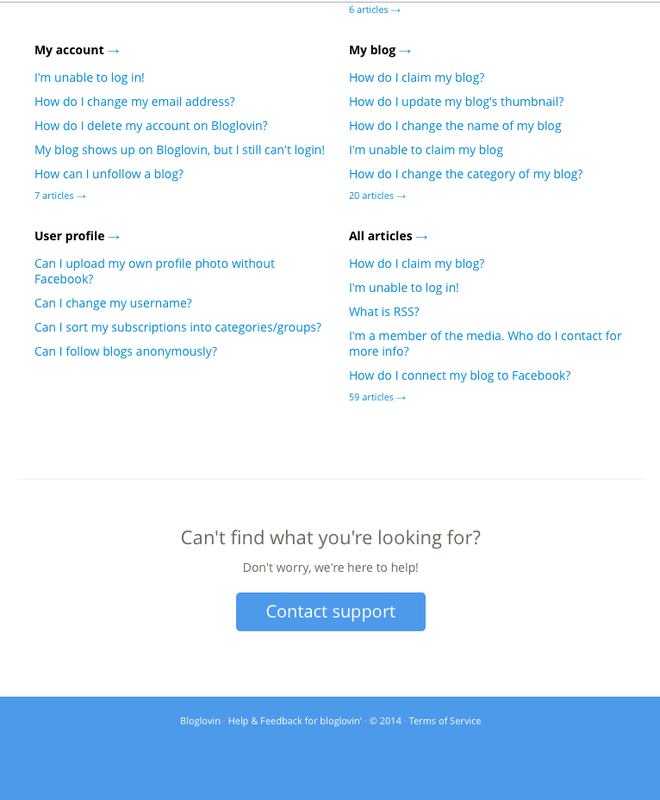 So how can you change your old url to a new url in Bloglovin', without losing any of your follower? 1. 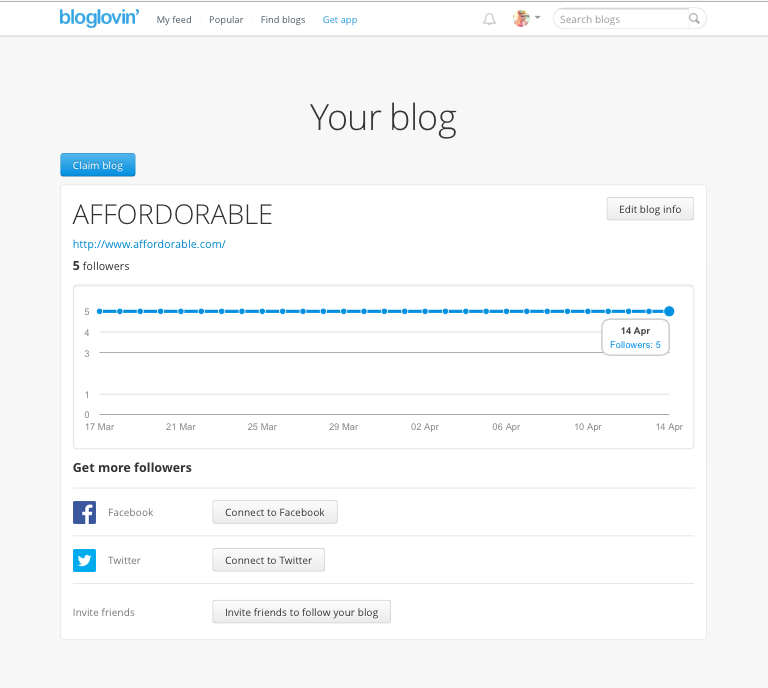 Click the same tiny downward arrow at the top in Bloglovin'. 3. Here you can find a bunch of FAQ's, all of which are very helpful. But I couldn't find one that relates to the exact problem I was having, which is to change my url and maintain my followers. Don't worry; now, just scroll down to the very bottom of the page. Then click on "Contact support". 4. Fill in what needs to be filled in and click "Send message" after you're done. Don't forget to provide your email address! I got a reply in about four (four!) minutes. Kudos to the Bloglovin' team! I didn't forget to click on the "Click to give Johanna Carlberg thanks! ", because I really was grateful for her help! Bloglovin' put up photos of the individuals in their team so I was able to put a face to the person who saved my Bloglovin' account's day. I hope this post helps you if you're facing the same problem as I was. If you find this post helpful, please do let me know in the comment box down below, and follow me on Bloglovin' too! Don't forget to leave your blog url when you leave a comment because I love checking out new blogs. Update (15/3/2016): Bloglovin' seems to have settled this issue, so you can check out their page right here for more info. You're welcome. So glad I could help! Emailing them because I have the same problem, hope it will work! Thanks <3!! You're welcome, and I hope your problem's already fixed! You're welcome, and thank you for commenting! Nice article. It helps me allot. I made a URL OPENER blog. You're welcome! I hope it'll be as easy for you as it was for me. You're welcome! Very glad you found this useful. Did so last Monday and again, today. Oh dear! I'm sorry, Neni, to hear about the difficulty you're experiencing. I completely understand the feeling of wanting your readers to have the easiest access to your blog, and being frustrated when that doesn't happen because it's out of your control. 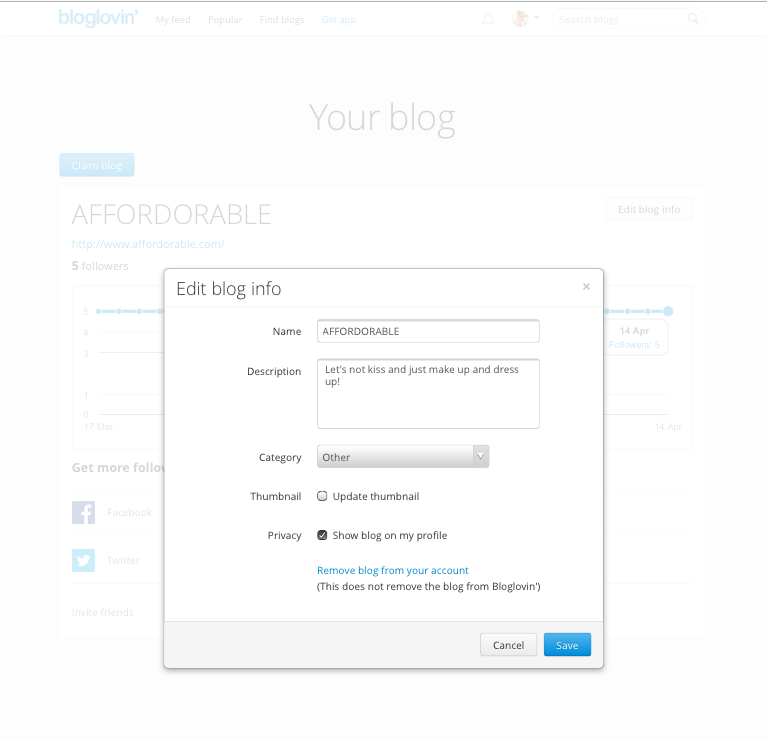 I sincerely hope someone from the Bloglovin' team will contact you real soon. Thank you for the compliment, by the way, it's really sweet of you to say so! i like it... thank you for information......!!! You're welcome Anek! Hope they'll sort your Bloglovin' issue out soon! I hope the Bloglovin' team will help sort your blog out in no time! Thanks for the idea of mailing the team! I just mailed them :) You have a lovely blog! You're welcome. I hope you've managed to sort out all your url problem! Hi Jen! Glad to help, I hope everything works out for you! Yay, thank you for the help! Thank you so much for this post! I just emailed them! And I'm following you now on bloglovin! Thank you so much for giving me a follow! I hope Bloglovin' sorts out your problem real soon.